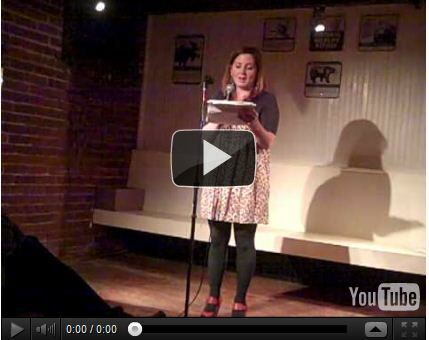 Maggie Glover, Smartish Pace Poetry Reading, May 15, 2009 from Smartish Pace on Vimeo. Maggie Glover, DOGZPANK 10 Reading on Thursday, April 8, 2010 at Forest Room 5 in Denver, CO.
Write Club San Francisco, Episode 34 Podcast: Fair v. Foul Maggie Glover plays fair against Steven Westdahl’s dirty tricks in the messy battle of FAIR v FOUL. Time waits for neither.